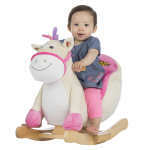 Rockin’ Rider Giggles Baby Rocker features a soft padded seat, fun sound effects, a crinkly mane, and rattles in her hooves! 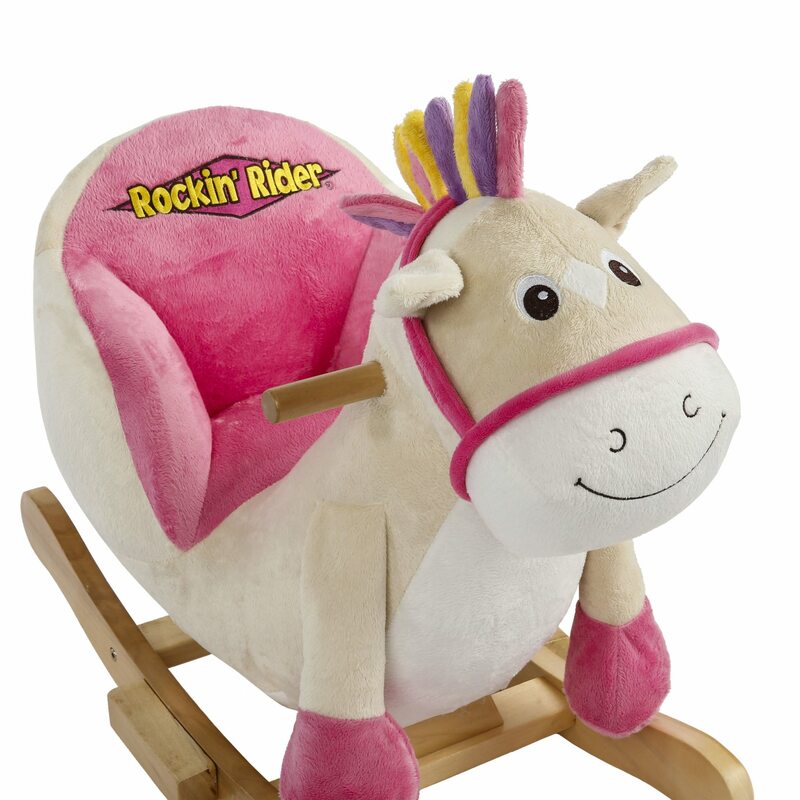 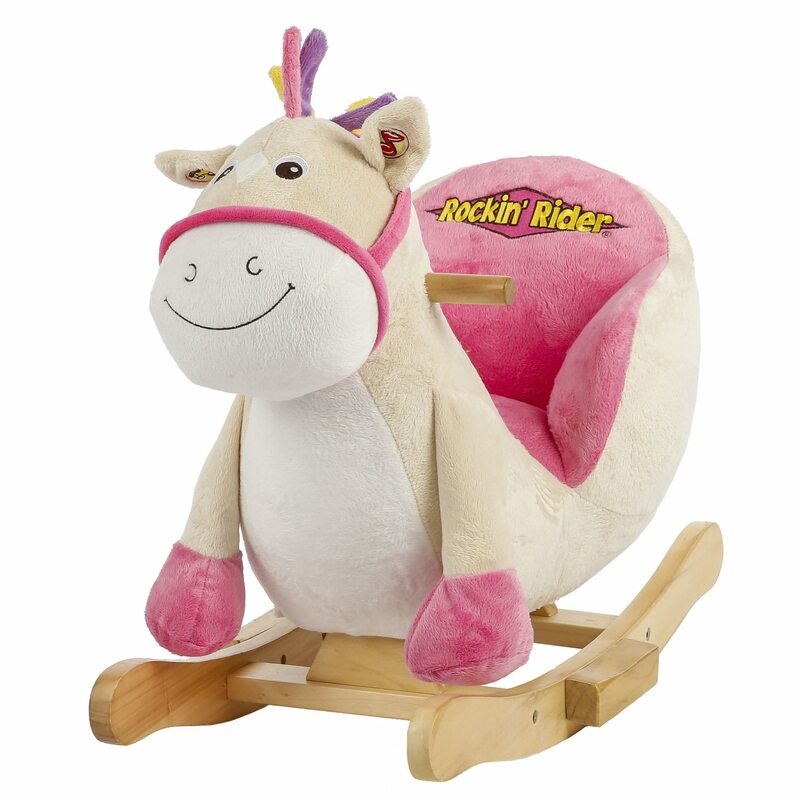 Rockin’ Rider Giggles Baby Rocker is a soft stuffed plush horse with a padded safety seat that assists with sitting up and maintaining balance. 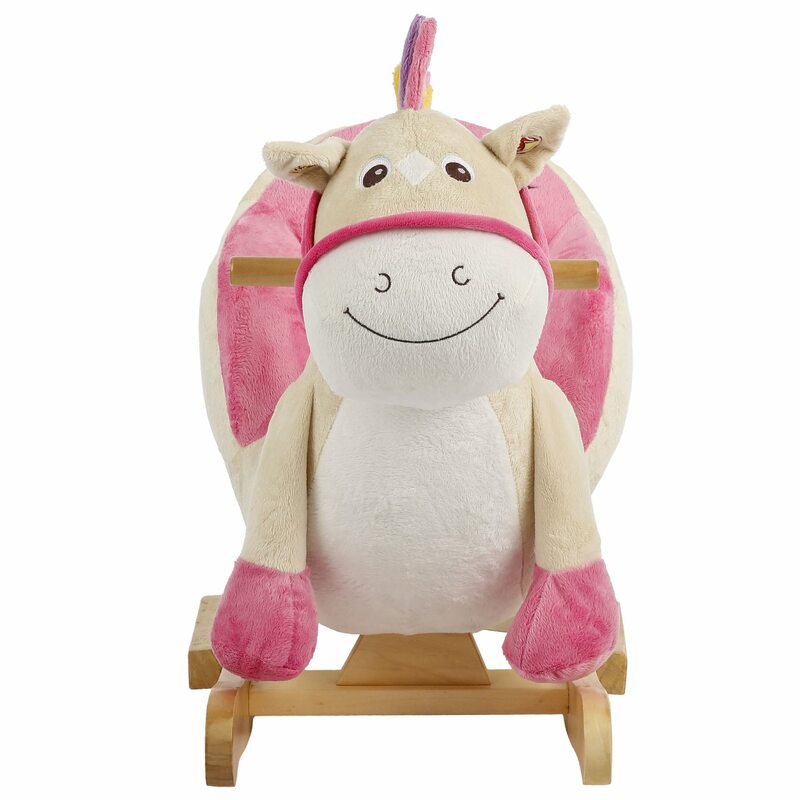 It sings the exclusive “I’m a Little Pony” song when its left ear is squeezed and says 6 fun talking phrases with sound effects when its right ear is squeezed. 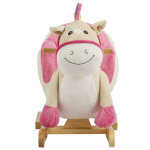 Your child will love the friendly embroidered horse face. 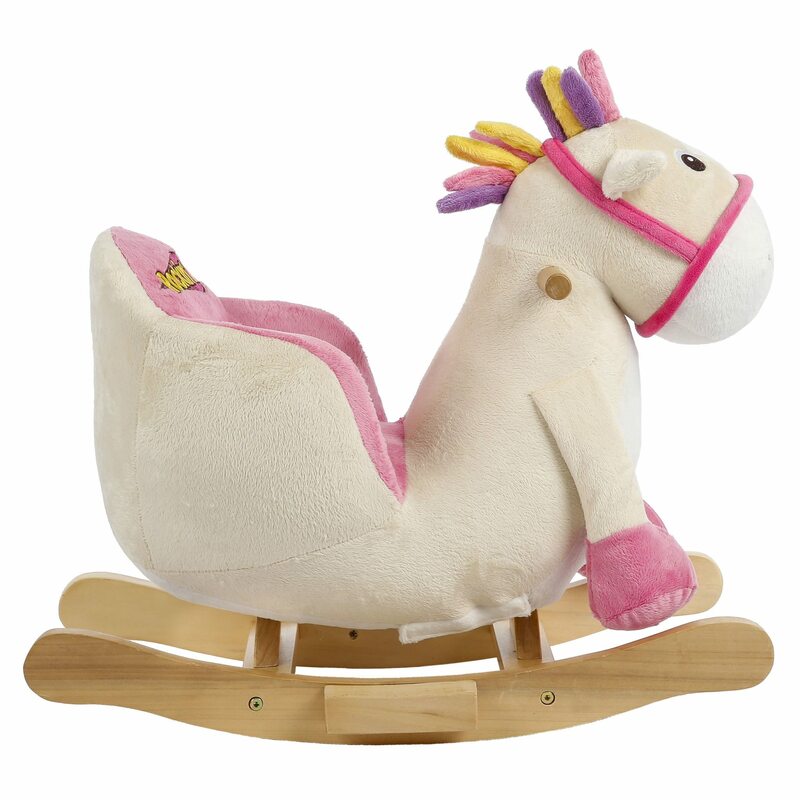 Other features include mane with crinkle material, rattles in both feet, wooden rocking base with foot steps and wood handles.